The study, “Searching for Extraterrestrial Civilizations Using gamma Ray Telescopes“, recently appeared online. This is the second paper published by Dr. Crane on the subject, the first of which was co-authored by Shawn Moreland (a physics grad student with KSU) and published in 2009 – titled “Are Black Hole Spacecraft Possible?“. 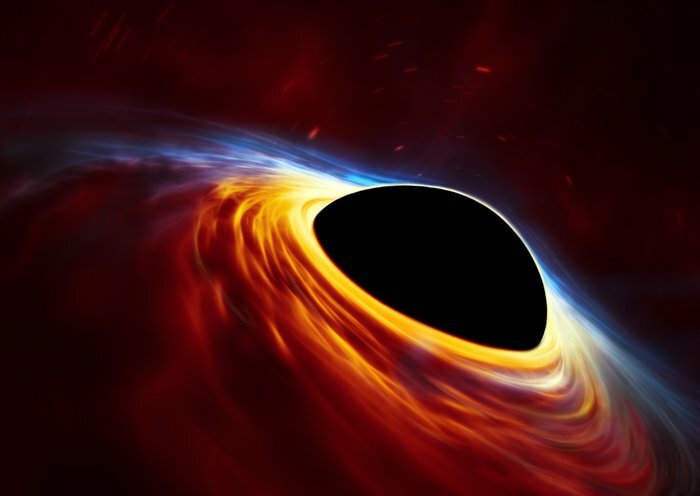 In the first paper, Crane and Westmoreland explored the possibility of using Hawking radiation from an artificial black hole. They concluded that it was at the edge of possibility, but that quantum gravity effects (which are currently unknown) could be an issue. In her most recent paper, Crane took things a step further by describing how the resulting gamma-rays such a system would produce could aid in the search for ETIs. The concept of a black hole-powered spacecraft was first introduced by famed science fiction author Arthur C. Clarke in this 1975 novel, Imperial Earth. A similar idea was presented by Charles Sheffield in his 1978 short story, “Killing Vector”. In both cases, Clarke and Sheffield describe how advanced civilizations could extract energy from rotating black holes to meet their energy needs. In addition, the signatures associated with this sort of technological activity (aka. “technosignatures”) would indicate a very high level of advancement. 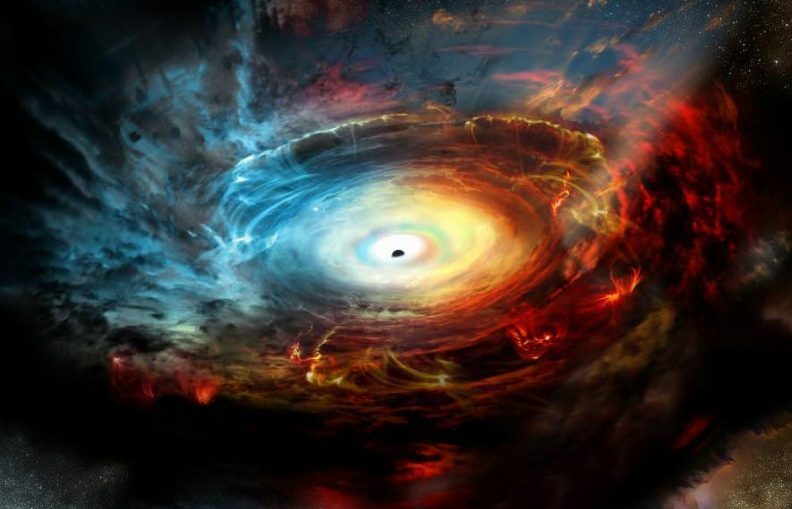 Given the sheer energy requirements for creating an artificial black hole, plus the technical challenges associated with harnessing it, the process would be beyond anything less than a Type II civilization on the Kardashev Scale. That’s not even the least of the technical challenges, most of which well are beyond what humanity is capable of. These include the sheer amount of power it would take to power the gamma-ray laser, where this energy would be stored, and how these emissions would be focused onto an atomic-sized space. As Crane indicated, there are suggestions for how this could be done, but they remain highly speculative. Aside from the concept itself, the idea of a black hole-powered civilization is also interesting because of the possibilities that it presents for SETI research. As with other signs of technological activity (a.k.a. “technosignatures”), a civilization harnessing tiny, artificial black holes created with gamma ray lasers could be detectable thanks to a little thing known as “spill-over”. This concept was described by Prof. Philip Lubin in a 2016 study, where he suggested that evidence of ETIs could be found by searching for signs of directed energy. 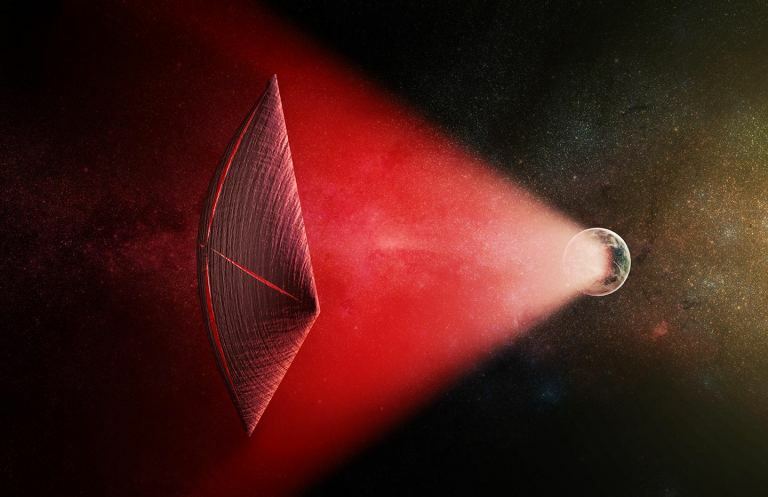 Consistent with Lubin’s own research involving lasers for planetary defense and laser propulsion (for NASA and as part of Breakthrough Starshot) Lubin suggested that errant flashes of laser energy (aka. “spill-over”) could indicate a technologically-advanced civilization. What is perhaps most exciting though is the fact that astronomers may have already found signs of some Type II Kardashev civilizations that use this type of method for energy production. As Dr. Crane explained, several point-like gamma ray sources have been detected in our Universe for which no natural explanation has been given. 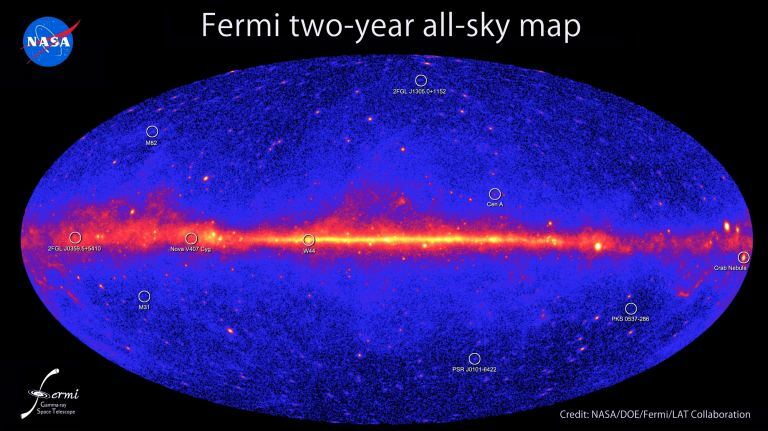 Future observations using space-based telescopes like the Fermi Gamma-ray Space Telescope (FGST), and ground-based facilities like the High Energy Stereoscopic System (HESS) and the Very Energetic Radiation Imaging Telescope Array System (VERITAS), could help determine if these sources could actually be artificial in nature. Coupled with next-generation instruments that have greater resolution and imaging capabilities, gamma-ray laser spill-over and other potential technosignatures could be out there, just waiting to be identified. In the meantime, humanity still has a LONG way to go before it can begin to contemplate building this kind of technology. Much like Dyson Spheres, Alderson Disks, Space Elevators, and the ability to move stars, this kind of Type II megaproject is just going to have to wait humanity can tackle a few smaller challenges. Something more our speed, like finding ways to settle on other planets in our Solar System, or learning how to use Earth’s resources sustainably! Also, be sure to check out this cool and informative video by our friend, Isaac Arthur!